Is it still a cherry blossom? 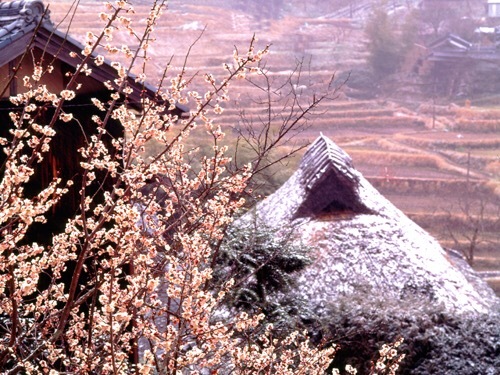 When is the peach blossom? It is the view of Furano Muroran village Nara prefecture early spring. 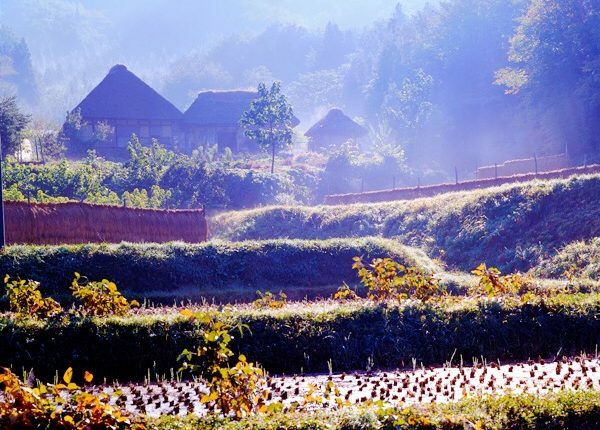 Fukano is a beautiful settlement like a terraced rice paddy and a garden that has been selected as “Japan’s Village 100” or “UNESCO Future Heritage”. A hotel have recreated old houses built over 150 years ago. It is not just a nostalgia of a good old age, coexistence of old and modern is wonderful. 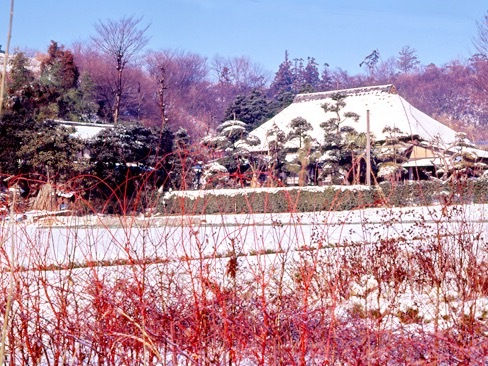 A brown lump is a Chinese cabaret buried in the snow and crossed the winter. It looks bad, but if you take the outer brown leaves the contents are pure white. Sweet and mellowish marbling cabbage survived by converting leaf starch to sugar during winter. It is wisdom of the predecessor from times when there is no refrigerator. 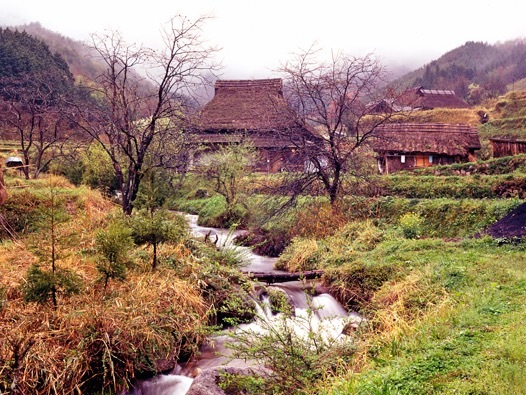 Thono is a famous village of folk tales such as Kappa (monster of the river) and Zashiki-warashi (spirit of a child living in an old house). But Thono is cold in the morning. 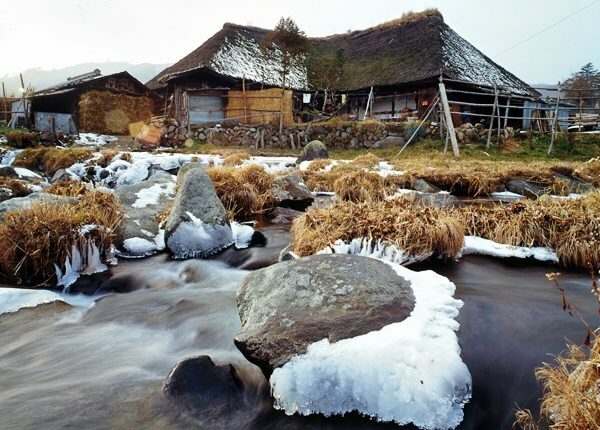 The thatched folk house of a folktale village blew off the cold air in the early morning and made the photographer hot. How many years ago I took a dandelion flower that I grew strongly from under the stone? I wonder if I can shoot this year too? Private house of the roof which was in Tono city, Iwate prefecture. 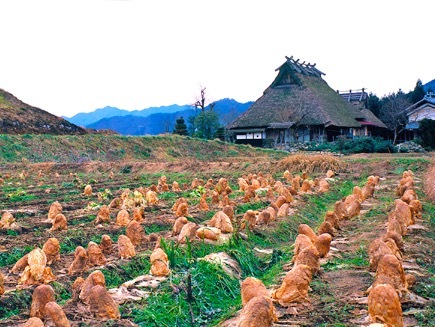 Tono is famous for the folklorist Kono Yanagida ‘s “Tono Monogatari” stage, KAPPA and ZAHIKIWARASHI come out. There is atmosphere that it is not amusing even if lovable MONONOKE comes out. This house is also taken in the rainy season. As a child, I frequently went to “Mikatagoko” on my family vacation during the summer . It was a countryside where there was not any amusement park or shopping center that element school students thought were interesting. I understood that Mikatagoko is about Mikata Five Lakes and became an adult. 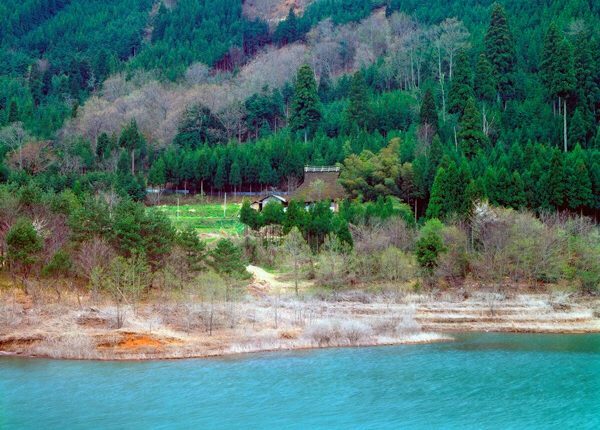 The lake bottom of Lake Suigetsuko is a UNESCO recognized as a global standard “plaster” carcasses, diatoms and clay minerals accumulate and striped patterns representing a year with a pair of streaks like wooden rings It is. I asked an old lady who was weeding at a bent waist under the plum trees in full bloom. It turned into an upright immovable posture like an old memorial shoot. After taking a few pictures, I asked you to return to the weeding work, but the back straightened does not return to its original shape. I got a gossip, made jokes and laughed, I tried hard for over 30 minutes to let her relax. 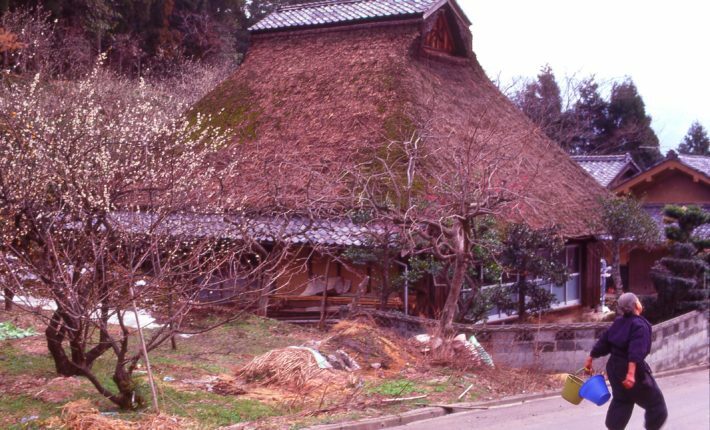 It is the house of the thatched roof that was in Mukoyama, Miyama Town, Kyoto. The snow melted and a green mountain is showing. The dam lake in front of the house shines sparkly and the mountain behind becomes red in autumn. Suddenly, I heard that this house with this roof was burnt down with fire. It was really nice to leave a photo with the scenery with a thatched roof as picture. The North Village of Miyama Town, Kyoto. 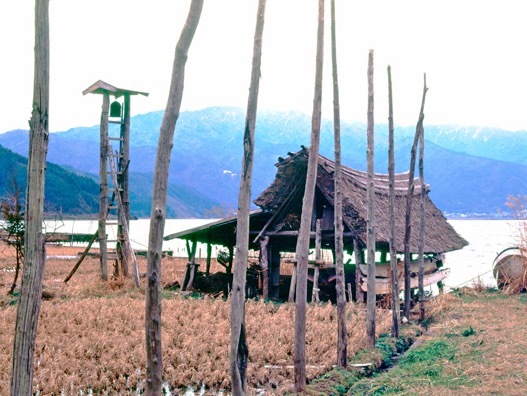 As the “village of Kayabuki”, old rounded red posts and thatched roof are well memorial photos. I did not like the artificial thatched roof house that does not smell life, so I often went to Kyoto to shoot, but I could not get to the North Village. I thought that it was even better than I thought . 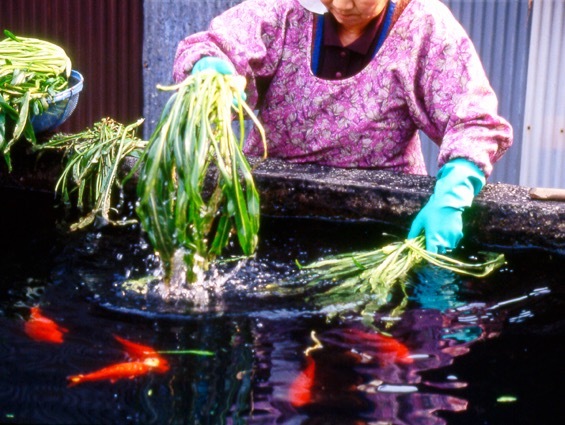 A lady who washes vegetables in a tank. In the washing tub, there are a few red carp . The production of a beautiful village with beautiful water amused the tourists.